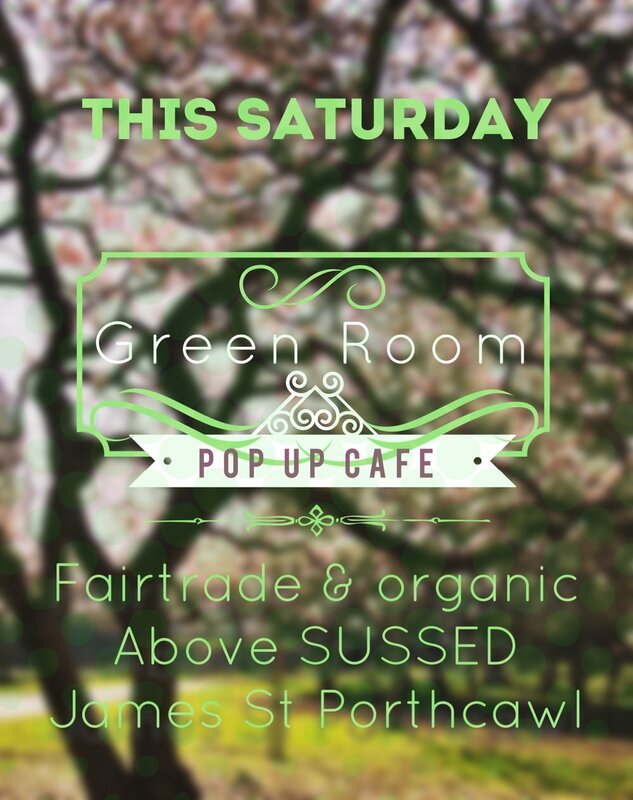 POP-UP CAFÉ THIS SATURDAY 11AM - 4PM 27TH JAN, The Green Room, above SUSSED. Our community-run café serves lush homemade bread, soups, cakes and savouries all at reasonable prices. Our volunteer bakers aim to use mainly fairtrade and local ingredients offering both savoury and sweet dishes for morning coffee, lunch and tea. So please join us, and sample our rich coffee, refreshing tea, luxurious hot chocolate, chilled cola, fun fruit spritzers and taste our tantalizing cakes, soups, sarnies and snacks. (Funds go to support Sustainable Wales). 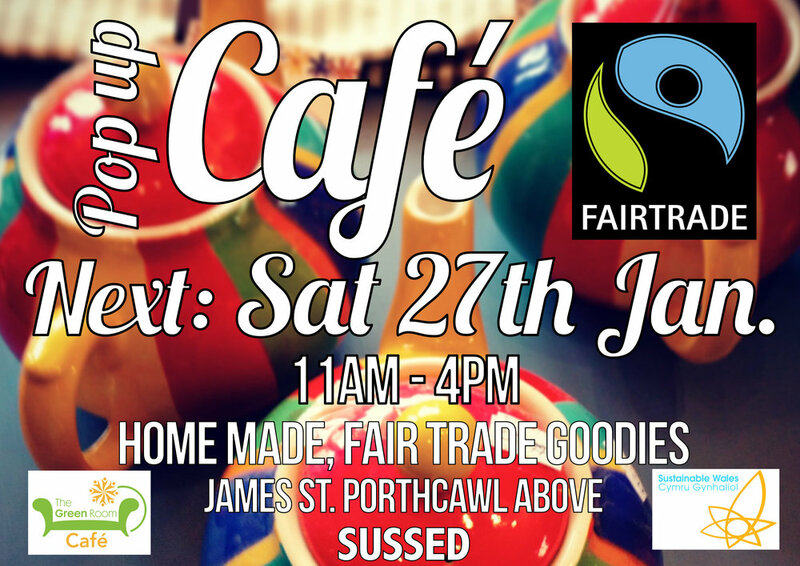 Fairtrade coffees and teas with delicious home made goodies created with fairtrade ingredients... pop in from 10.30, above SUSSED. The Café returns every third Saturday of the month.